We are a non-profit and NO KILL Cat Rescue organisation in Tasmania, rescuing and rehoming unwanted cats and kittens, giving them a second chance at life. We rescue and rehome hundreds of unwanted cats every year. Rescue Cats Safe Haven Inc is registered with the ACNC (Australian Charities and Not For Profit Commission) and has tax deductible gift recipient status with the ATO. All donations over $2.00 are tax deductible – please request a receipt if required. All require bottle feeding every 4 hours, day and night. It’s been exhausting but well worth it… this is what rescue is all about. It’s why we do what we do! They were and still are in a terrible condition. All of these costs have really hit us hard. 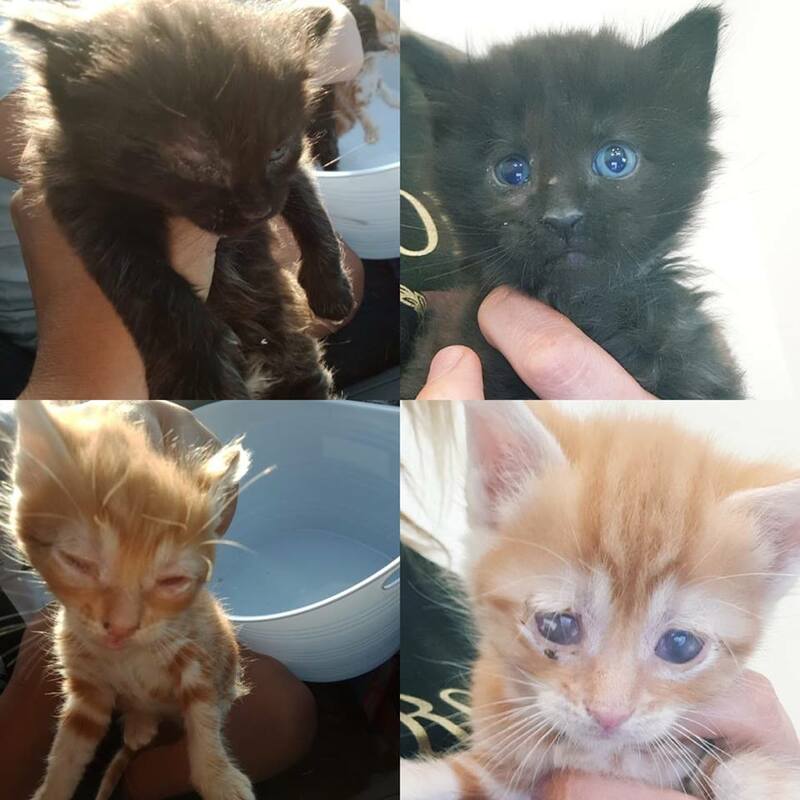 As you know we’ve had a really tough time over the last 6 weeks, with these 4 only a handful of sick kittens we currently have in our care, including 3 more needing urgent dentals this week. The costs from these are above $3,000 and we really need your help tonight to raise this money. Just $5 is all we need from each of you. Think about our heroes bottle feeding through the night as you click on that donate now button. Please help us in our time of need. Thank you for caring for the down and out animals. Thank you for you amazing work on saving these poor babies God Bless you all . Thank you for the work you do, and good luck with the small ones! You guys give so much of your time and effort, admirable the amount of love you have to give. Very lucky little flutters! All the best, hope you reach your Target quickly! From me and my fur baby, Halfpint.